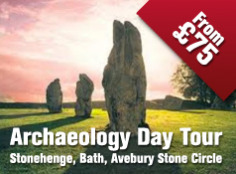 This morning TravelMail revealed a 'plan' for adverts to be projected onto Stonehenge in a bid to generate extra revenue for the prehistoric attraction. But of course, it was all in the spirit of April Fool's. A new visitor centre is currently being built at the 5,000-year-old World Heritage site in a £27 million upgrade which aims to "restore a sense of dignity to the setting of one of the world’s most loved ancient monuments." And we said advertising during the site's out-of-hours Stone Circle Access visits was one avenue officials were considering to create additional income. 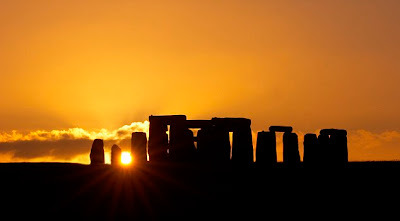 The special one-hour experience occurs either early in the morning or late in the evening when a maximum of 26 people can enter the circle, set in the Wiltshire countryside. 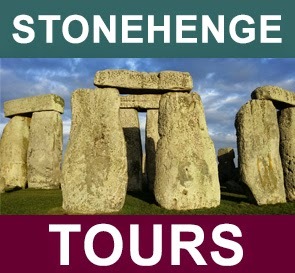 During regular opening hours visitors can only skirt the perimeter of the stone configuration. We said proposals being discussed could see adverts projected onto the stones as night falls in a bid to take advantage of the increased footfall and joked that while talks were ongoing, officials said "nothing had been set in stone". 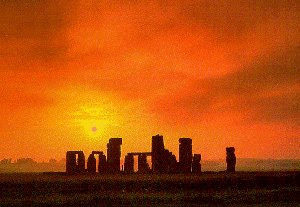 The clue was in our 'angry local', Allis Porof - a fictional name created from April Fool's - of the Stand up for the Stones conservation society, who 'said': "I just can't believe that a site so sacred is going to be desecrated in this way. "A symbol of the ingenuity of our ancestors is being sacrificed on the altar of 21st century greed and consumerism." However, it was true that the attraction's new visitor centre is set to open later this year with a raft of "environmental improvements" to follow next summer. The A344 will be closed as part of the upgrade, with traffic diverted. A permanent exhibition will be on display to tell the story of the stones and test building work has begun on three Neolithic houses which will be part of an outdoor gallery. English Heritage, which manages the site near Salisbury, says that the scheme "fulfils a long standing ambition to improve the facilities on offer to the many hundreds of thousands who visit each year." Stonehenge is shrouded in mystery and its original meaning has been invariably attributed to a place of sun worship or burial, among other theories. Experts have long tried to deduce exactly how these gigantic stones were brought to the site. Despite the building work, the attraction is still open to visitors.